Note: DoBlu originally reviewed the theatrical Blu-ray of The Town back in late 2010. 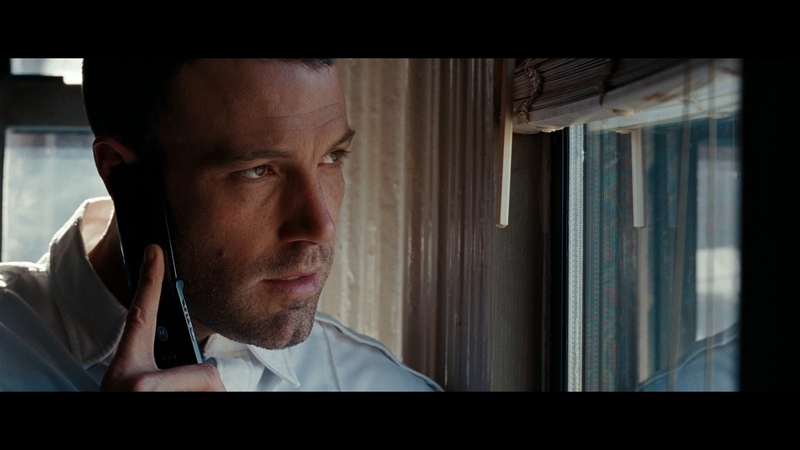 The original extended cut of The Town purposefully flawed Doug MacRay (Ben Affleck). The theatrical release cleaned him up, almost too well to believe this character is who he is. With around a half hour to play with, MacRay falls back on habits long since rejected. He becomes reckless yet in the end, never pays for it in any substantial way. Now, with an alternate ending, The Town is a different movie. Those actions that felt empty suddenly come to the surface. The character is deeper, richer, and more involving. Interactions, when looking back, take on a greater weight. Nothing changes during casual viewing. It’s only when that ending hits that the dots are connected, and with straighter, more sensible lines. There’s a reason The Town shipped to theaters as it did. People like their criminal heroes, probably more so given the nature of the economy. A “good guy” armored car thief resonates in this drooping financial era. The emotional weight comes from loss of life on both sides, yet tension is felt as these criminal masterminds escape. Clearly, something is felt for their situation, and it’s support. That becomes the hallmark of the film, where those dreams are now whisked away for reality. Words carry greater power when spoken, not because of what MacCray and his crew did. It’s what the world they were thrust into did to them. That attitude towards the material changes everything. Instead of cramming two separate versions of the film onto one BD-50, the extended cut with alternate ending is given a disc that it can call home on its own. Warner didn’t remaster or issue a new encode. Many of the same concerns remain, notably the blotchiness of the grain structure during a handful of scenes. Noise is a little too prevalent, removing the grain structure (again, at times) for something a little elevated and coarse. For the most part, The Town remains a transfer with bite. Definition is striking, the film shot with extensive use of emotionally powerful close-ups. Those keep a stern focus, presenting opportunity to soak up the best definition. Facial detail is exquisite and typically consistent. Like the grain, a miniscule number shots veer southward to miss that marker. Black levels retain image depth, at the expense of mild shadow detail. Once too often they’ll dig a little deeper than they should. The end result is rarely worrisome, those sterling shots of dark rooms or nighttime skylines exquisite. In general, The Town still holds some of the best aerials on the format, those shots of Boston meticulous and vividly sharp. They’re not used sparingly either; it could be debated they’re inserted with a little too much zest. Affleck may love Boston more than he lets on (and he tends to mention it once or twice). A dreary color palette rarely lets up, the color timing sapping some of the life from the flesh tones while grating teal environments exasperate themselves during the finale. One also can logically question why the government only seems to purchase monochromatic PC screens. Those moments where The Town breaks out a bit, especially those involving a garden, shown tons of life even if the saturation is subdued. See? It can be done and still have it both ways. Like the video, nothing has changed for this extended and altered ending. The only additional punch in the latest scenes come from a few gunshots, but considering the film closes an active, stunning shoot out inside Fenway park, a few new pistol shots doesn’t change much of anything. This remains a captivating, engrossing design that gives dimensional life to the quietest of street conversations to the most violent of stand offs. The way gunfire during a chase scene doesn’t splatter the subwoofer with needless bass is appreciated, allowing the highs to pop off in all of their glory. Later, when the action is tighter and closer on the actors, the LFE accentuates the impact and close quarters. It’s two widely divergent styles of sound, in the same movie, and with the same purpose. Nothing here is repetitious, merely suited to the style of action. The Town always has surprises available to its aural repertoire, from the superior flash bang drop late to the explosion of a gas-covered vehicle. The score sweeps up into the rears, and balance between these heavy, complex elements is perfect. That original Town review linked above? Well, it’s wrong. Mistakes happen, you own up to them, and move on. The design here deserves all the praise in the world. Warner stuffs a bunch of trinkets into a box but doesn’t do much of anything for on-disc extras. The new piece, The Town: A Director’s Journey, let’s Affleck discuss working on both sides of the camera. The commentary attached to the version with the alternate ending is only an extension of the one featured already. Note this is a complete set, including the original theatrical/extended disc, plus a DVD version. In-box extras will be reviewed soon.